If the witness is a U.S. citizen, prior permission from the French Central Authority is not required. However, if the witness is a French citizen or third party national, prior permission is required. To request permission from the French Central Authority, send the notice or commission to the U.S. Embassy/Consulate 45 days prior to the preferred date(s). All documentation must be translated into French before submission to the Embassy/Consulate. Depositions must be held at a U.S. Embassy/Consulate and must be open to the public. However, due to time and space restrictions at the Embassy/Consulate, exceptions to this rule are often granted. If the deposition is to be held at another location (hotel, conference room, office, etc. ), an explanation must be provided and the location must be submitted and approved by the French Central Authority. Depositions in France can be complicated if you don’t have the right team. We put together this checklist to make depositions easier. We provide modern and convenient conference rooms throughout France for meetings, arbitration, and more. 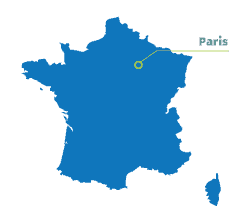 Before planning your deposition trip to France, make sure you review our Travel Tips for important information.